In all of the work carried out at Autofficina Omega, Corrado Patella & Son, there is one main ingredient: a passion for cars. This passion dates back to the 60s, and has been the underlying theme throughout their history of excellence and success. 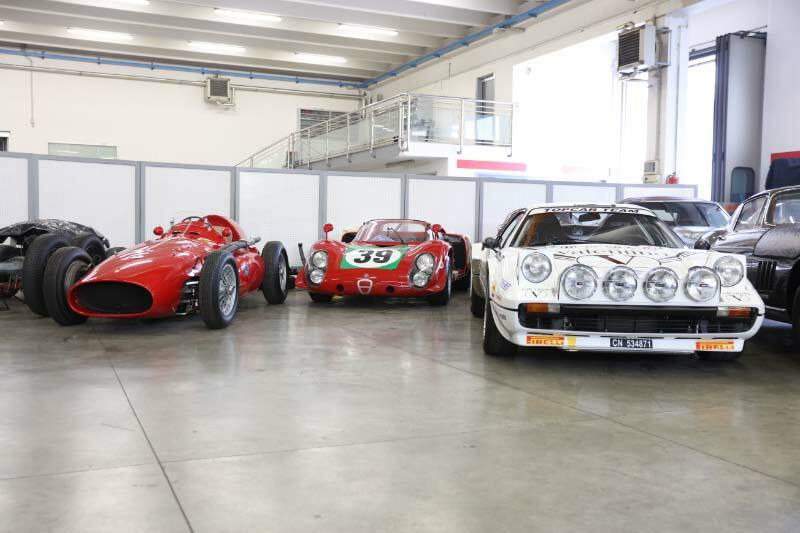 The spare parts warehouse is the pride of Autofficina Omega: here you will find a rare collection of original parts, unique pieces for vintage car experts and all classic and luxury car lovers. 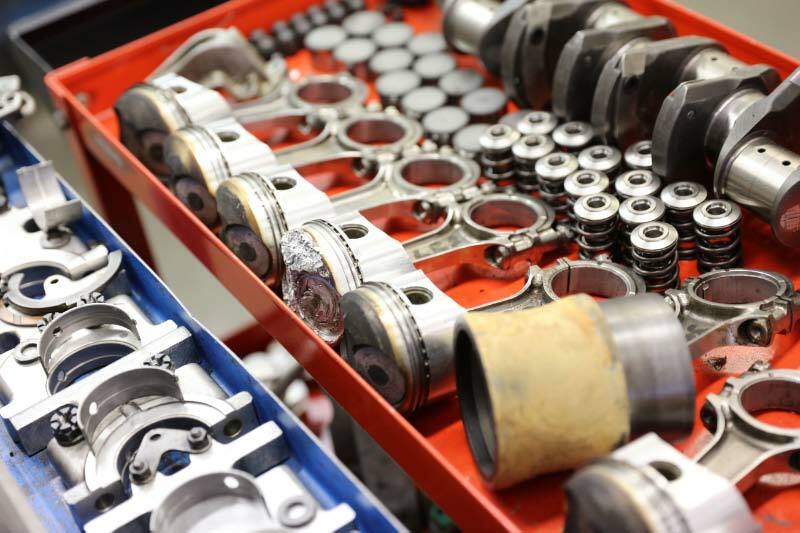 Autofficina Omega specialises in the restoration of classic cars, in particular the mechanical components: parts that cannot be replaced are rebuilt from scratch with passion and precision. The skill that you will find at Autofficina Omega knows few equals, and is recognised by the numerous enthusiasts and experts sector regarding classic cars from all eras. 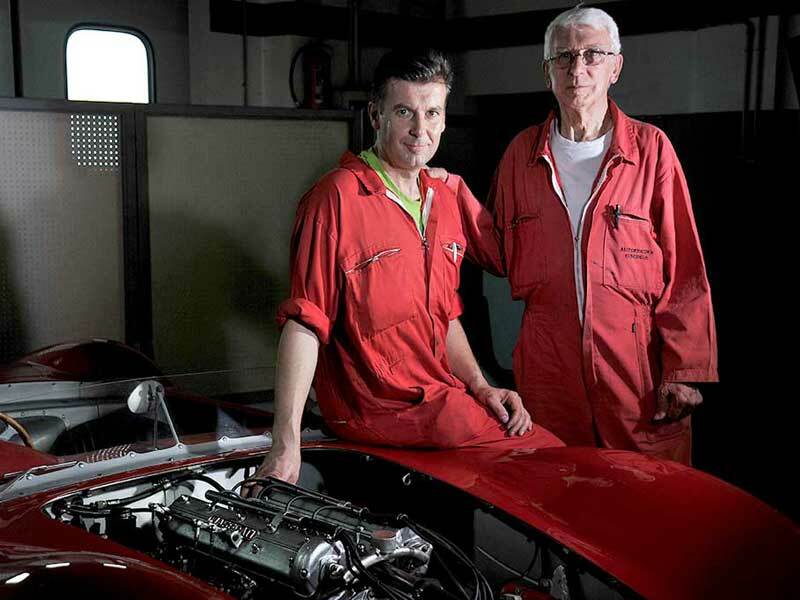 The reputation that Autofficina Omega has earned in the field of restoration and preparation of engines has spread beyond national borders (in particular – but not only – for Ferraris), so much so that Autofficina Omega has become an international reference point. The workshop, situated in Zanè in the province of Vicenza, is managed by Corrado and his son Guido, with the collaboration of 5 trusted and skilled employees. The main driving force behind the business has always been a great passion for cars, especially classic and luxury cars, a passion that evolved over time into a solid, reliable, and unique expertise.